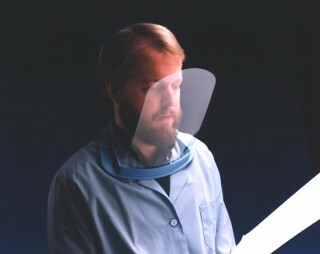 This unique, shield protects the face and neck from splashes, sprays and abrasions. Durable, long lasting and lightweight polycarbonate shield weighs on 7.9 oz. The comfortable fit provides air circulation for long wear. 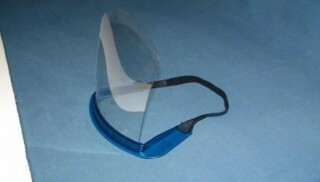 The shield is held in place by an adjustable, Velcro strap. One side fits all.